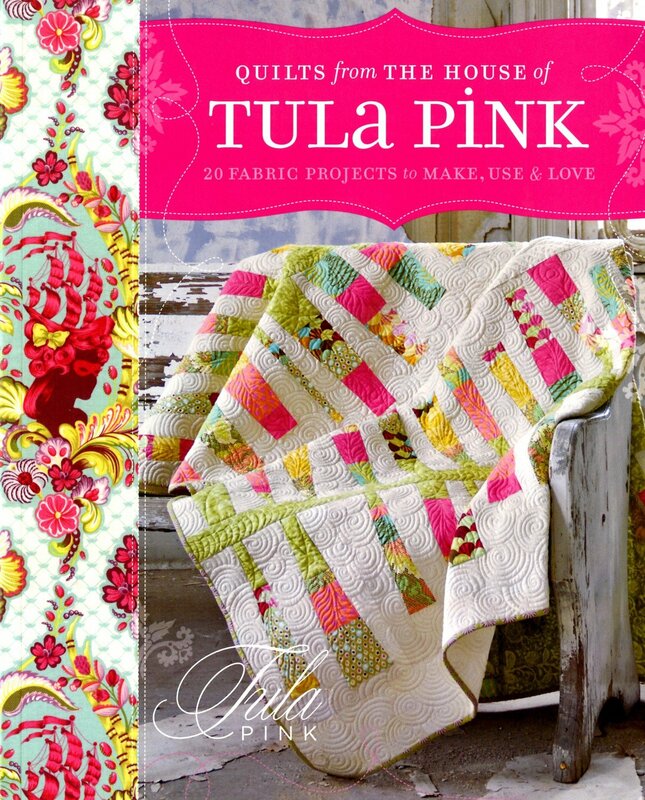 Inspired fabrics and designs await you in Quilts From the House of Tula Pink! Welcome to the world of cutting-edge fabric designer Tula Pink, where clever quilts show off fanciful fabric, and your imagination can be let out to play. Featuring fabrics that you know and love, Tula offers 20 patterns with her signature flair for color, design and original style. Between 10 amazing quilts and 10 extra-cool companion projects, you'll be inspired to play with fabric, color and design in a way like never before! **10 large quilt patterns, perfect for the bedroom or snuggling on the couch. **10 accessory sewing projects, like an embroidered lampshade and a fabric cuckoo clock, to make your everyday life extraordinary. **Tips from Tula on choosing and combining fabrics, selecting a quilting motif, and even sketching your own fabric and pattern designs. **Step-by-step illustrations (hand-drawn by Tula herself) and super-simple sewing techniques for successful quilt making. Come on in to Tula's house for the ultimate in sewing, style and fabric innovation!